Mommy's Favorite Things: Lugz Regent Lo Review & GIVEAWAY! 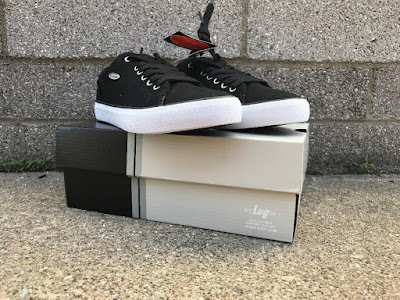 Lugz Regent Lo Review & GIVEAWAY! 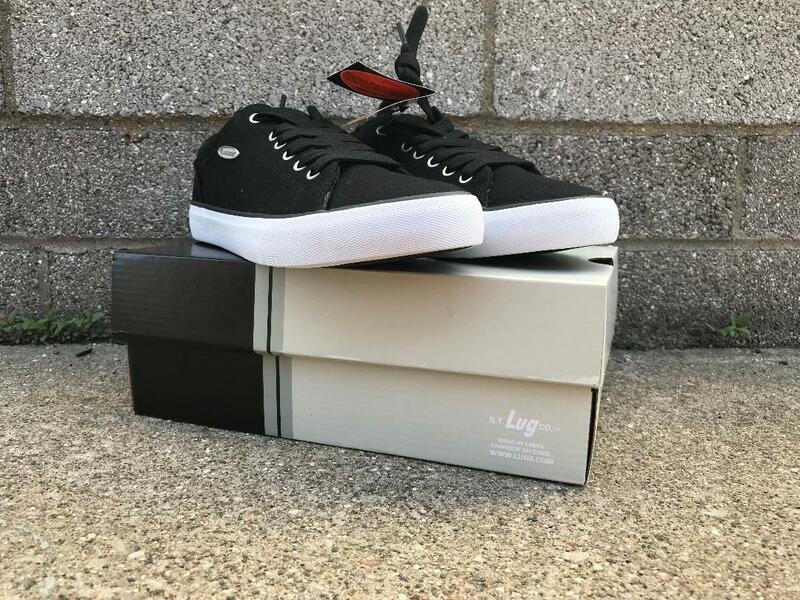 I had always heard great things about Lugz and I was fortunate enough to test out a pair of the Mallard Boots a few month back! But this time they wanted me to try something new for Spring/Summer! 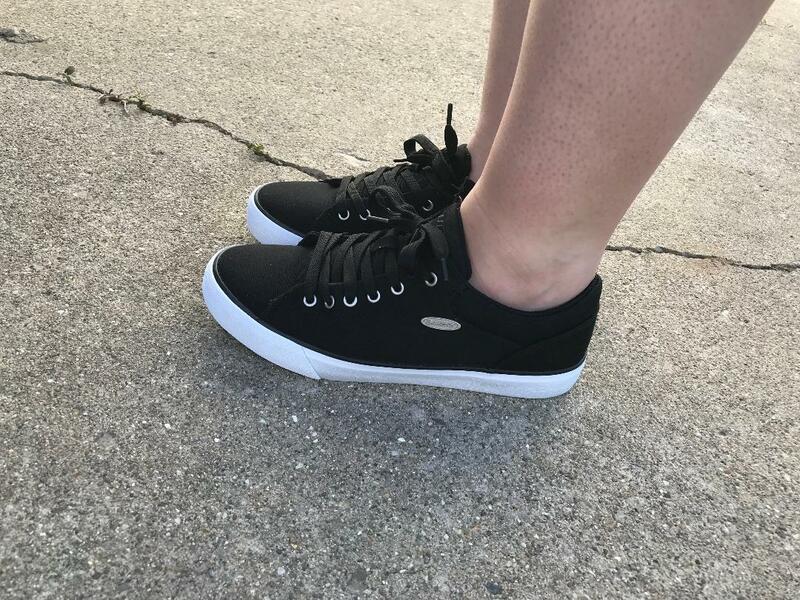 With my boots I sized up to a 9, knowing they tend to run small and I'd be wearing thick socks, but they were still a bit too big on me, so I went with my classic size 8 with the Regent Lo's and they fit me like a glove! I'm in love with the style of these. 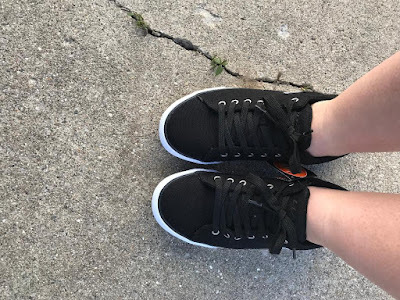 They are casual and perfect for doing some light walking, or when you'd want a full shoe instead of a flip flop in summer. 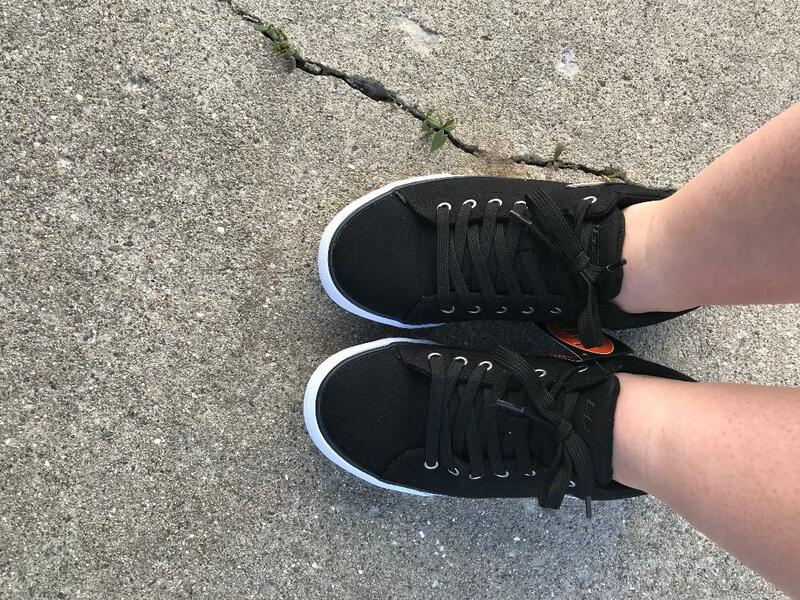 So far I've worn them a few times and they fit great and are super comfortable. They are cute with no socks and shorts for summer, or even cuffed skinny jeans. I like that they are a versatile style and can be worn many different ways. They are canvas so are machine washable. 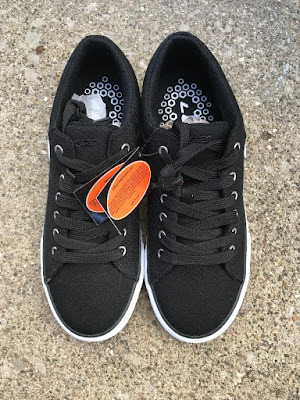 They have a padded collar and cushioned insole, making them super comfy. I absolutely recommend Lugz, their boots are slip resistant and perfect for ice/snow or work. And their shoes are super comfy for that everyday look! Price: These are $44.99 and definitely worth it! Overall: ***** hands down! Super happy with Lugz! I like the WOMEN'S EMPIRE HI VT. I like the womens Tambora boots for winter. Too cute. I like the women's Brigade boot. I really like the Mallard Boots. 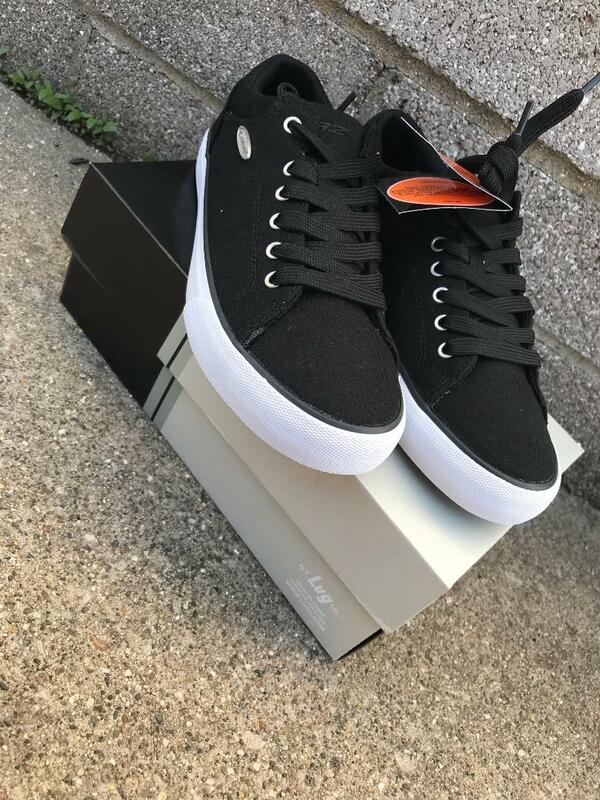 I also like the women's Drifter LX in black/cream/gum. I also like the WOMEN'S EMPIRE HI WR boots. I like the Women’s Drifter Fleece XL! 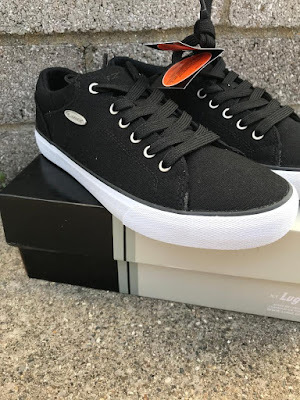 I would like to get Lugz's Women's Seabrook Onyx/ White shoes. I LOVE THE BLUE AND BLACK WOMEN'S EMPIRE HI VT BOOTS. I also love the women's The Empire Hi boots in walnut/gum. I love the empire high boots. I love the women's Tambora Boots! I love the WOMEN'S DRIFTER FLEECE LX! Would love to get a pair! I love the Lugz that are collaboration with vintage frames company. They are truly cool and amazing. I also like the THETA boot. I like the Latte colored QUILL HI boots. I like the WOMEN'S DRIFTER LX. I like their Women’s Drifter Lx in Raspberry/White. So cute! I would like a pair of THETA Dark Brown/ Brown/ Gum. I like Empire Hi Gradeschool for my little ones. I like the Drifter Lo Ballistic Black. I really like the Theta boot. They are really cute and look comfy. I also like the TAMBORA boots in black. I also love the Tambora boots in black. I love the Women's Tambora Boots. Love the tamboor and theta boots! Thanks for offering this giveaway!